Sprouts Early Learning is a new evidence-based bilingual approach to Early Childhood Education. Our goal is to create a unique learning experience for young urban children. Our program equally values local and global culture and help’s a child to develop curiosity, critical thinking, language and character to become an optimistic, friendly, creative and intelligent human being. 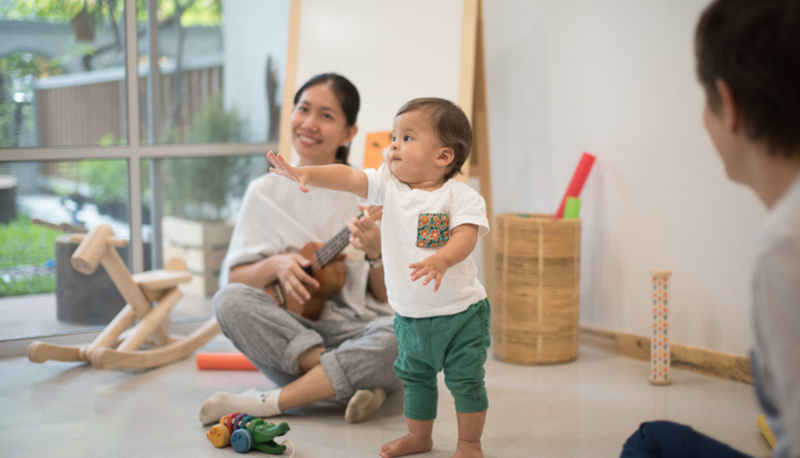 Our first early learning center opened on 1 OCT 2018 in Sala Daeng, Central Bangkok. According to Nobel prize-winning economist James Heckman, prenatal care produces the highest return of investment in education. In response to these findings we developed Mali. We aim to educate new moms during pregnancy, a time when they are open and ready to learn. Our goal is to help lower their levels of stress during this channeling time and inform them about a healthy lifestyle and best practices in child-rearing. We developed the Mali app with a team of doctors, editors, researchers, graphic designers, and illustrators and received funding by the National Innovation Agency. The first version was released on Mothers Day, August 12, 2018. With Sprouts Schools we create YouTube videos that explain students, teachers and professionals academic concepts in a fun and easy way using cartoon animation. To maximize learning outcomes, our videos often end with an invitation to now turn theory into a hands-on project. We also use as little English writing as possible, so each video can be translated into other languages fast and inexpensively. The channel is now available in English, Thai and soon in German and has been translated by the YouTube community into over 25 languages covering languages like Arabic, Chinese, Romanian, Hebrew, French, Japanese, Italian, and many more. The channel is supported by our co-producer MinuteVideos.com and is partly funded through the donation platform patreon.com/sprouts. Try Fail Do is a prototype for a social learning platform where students learn new skills free of charge in a fun and engaging way. We developed the platform because we could not find a learning management system (LMS) that allows us to create massive open online courses (MOOCs) that would enable students to do project-based learning with peer feedback. If students sign up for a course, they will listen to a lesson delivered by one of our teachers. After the experience, they have to do an exercise - in Portrait Drawing, for example, they "draw a round object using pen and paper." Next, they take a picture of their work and upload it for peer feedback. In the last step, they review the work of one of their peers. This step expands their imagination of what’s possible, and they learn the skill of giving constructive feedback. Once their work passes peer review, they see the work of all of their peers and can proceed to the next lesson until they complete a course. Currently, we offer five courses: Learning How to Learn, Portrait Drawing, LINE Sticker Design, Economics, and Creative Thinking, which we offer in Thai and English. 90% of our 5,000 students are teenagers aged between 14-17 years, some of which take the course together with their teachers or classmates. 45% reported that their teachers were offered good grades for “special favors”, which is a decrease of 13% from 2016. 50% reported having been hit by a teacher last year, down 10%. Sprouts Learning is a purposed driven enterprise based in Bangkok, Thailand. Our mission is to make learning better, more social and more accessible. It was founded in 2018 by Jonas Koblin and his co-founder Jay Uh, backed by impact investors Shuttle Ventures and Erik Mossberg. Contact us if you want to make an impact in education as part of our growing team. Copyright 2018 by Sprouts Learning Co. Ltd.